West Hollywood loves shallow things. Weho also loves its cell phones. Everyone is relying on them, addicted to them, all the time. City hall even bought signs telling pedestrians to look up from their devices while crossing the street! 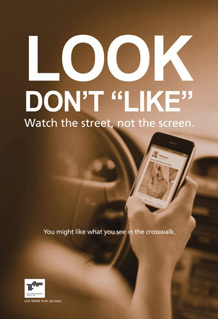 Seriously, multiple (often drunk) people have been hit at crosswalks in West Hollywood, often because they were glued to their phones. 1. Vibration: turn it off if possible. It's a huge power eater. 2. GPS: Constantly monitoring your global position takes power and prevents the phone from "sleeping" to save juice. Turn it on to use Lyft or Uber, then turn it off again. 3. Opening and closing apps: let apps you use often keep running. Don't close and re-open them all day long. I'm looking at you, Grindr. 4. 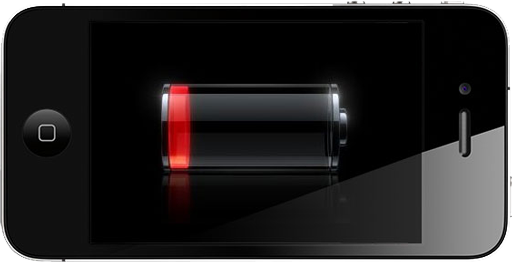 Constantly re-charging your phone is better for it than letting the battery go to 0% before re-charging. Topping off and constantly recharging is good. 5. The Facebook app is huge drain on batteries even when you turn it OFF. Uninstall it. 6. Instagram also gobbles up battery power and storage pre-loading images and videos. Uninstall it. 7. Screen brightness: the lower you go the more power you save. 8. Beat the heat: don't leave your phone in the hot sun or a locked car. 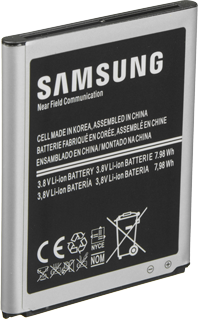 High temperatures ruin the battery over time. Air vents should be dust free. 9. Basic Black Wallpaper: modern phones with OLED screens use power slower showing black. Up to 18% less. And it's easier on your eyes. 10. Ad-Blockers: an ad you block is one less ad for your processor to display. Fortunately this website does not show ads.